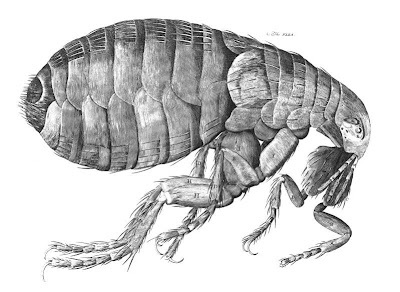 An accurate, even wonderfull view on a small flea, but there was much more to discover at the time this engraving was made. 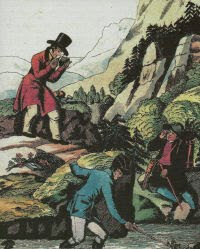 So there is a connection between this image of the flea and geology in general - what, or better - who is this connection? Image is from Hooke's "Micrographica", so I'm going with Robert Hooke. He did some work on surveying and map-making, didn't he? JL and Howard got there before me but the who is surely Robert Hooke whose flea it is and who was also a geologist.